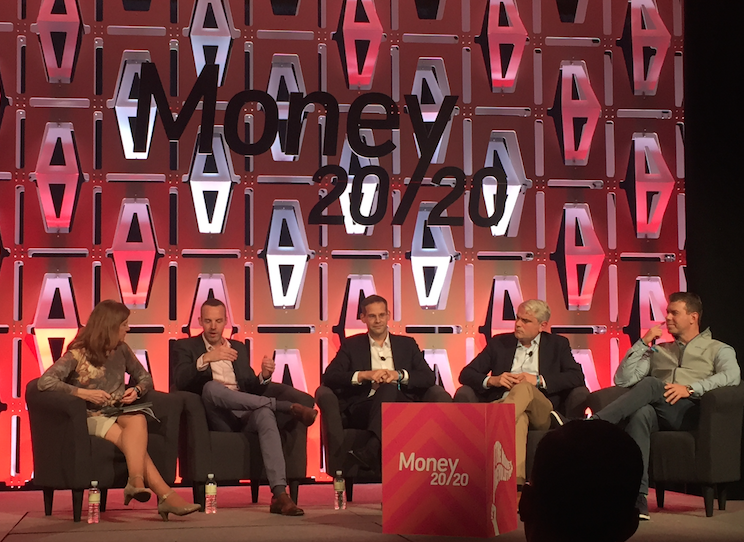 At the regulatory technology (or RegTech) sessions at Money 20/20 yesterday, toy shovels seemed glaringly absent given the number of times the word “sandbox” was used. Of course, panelists were referring to a regulatory sandbox. Nick Cook, Head of RegTech and Advanced Analytics at the Financial Conduct Authority in the UK, discussed his experience facilitating regulatory sandboxes. According to Cook, a regulatory sandbox is an arrangement between a company and a regulator where, in order to test the viability of a new business or product, the regulator grants some kind of allowance to the company for a fixed period of time in exchange for the regulator’s ability to observe carefully how the new business or technology works and behaves in the market. “I hope that states continue these sandboxes,” said Chris Camacho, President & CEO of the Greater Phoenix Economic Council. Seated on two of the panels on regulation was Paul Watkins, who, as Civil Litigation Division Chief at the Arizona Office of the Attorney General, drafted and advocated for legislation that established the first Fintech Sandbox in the US. Watkins said that coordination between the federal and state regulators will be important moving forward. One of the panelists was Melissa Koide, CEO of FinRegLab, a research organization that is designed to test new technologies to inform public policy, much like a sandbox. “Regulators have anxiety about liability if something goes wrong,” Koide said. And she that therefore dialogue among regulators is very helpful, especially the ability for regulators to learn together. “Regulators can’t innovate if they can’t experiment,” said JoAnn Barefoot, who moderated a few of the sessions. Barefoot is the co-founder of Hummingbird Regtech, a platform for anti-money laundering.